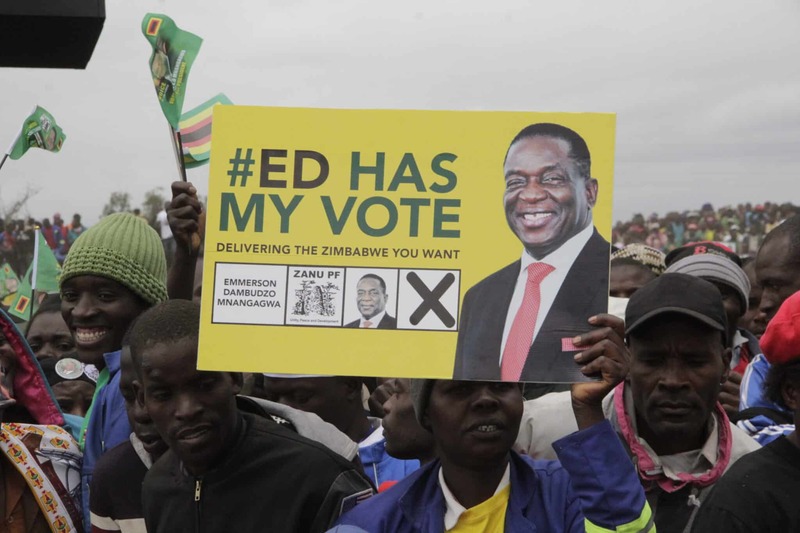 As Zimbabweans still debate and grapple over the veracity of the just ended 30 July 2018 harmonized election results – especially, considering the possible legal challenge by the opposition MDC Alliance – one wonders if indeed there are valid grounds to doubt the authenticity of the Zimbabwe Electoral Commission (ZEC). For a long time, the ruling ZANU PF party has been at pains defending the integrity of ZEC, in the face of incessant criticism by the opposition – as the commission is largely regarded as sympathetic to the regime, and most likely to manipulate the voting process in its favour. As the nation approached the 2018 elections, the heat on ZEC and the ZANU PF regime had been turned up, since there was very serious criticism over the country’s electoral laws – which are not fully aligned with the constitution – as well as the perceived bias of the commission against the opposition in its operations. The commission has been accused of not fully holding all stakeholders to account over their violation of electoral laws, especially the continued state media bias towards the ruling party, inclusion of state security agents in the commission, intimidation of rural voters by traditional leaders and the military, late release of the voters’ roll to political parties, and the lack of transparency in its activities. Similarly, as the opposition MDC Alliance prepares to submit their challenge of the election results to the Constitutional Court, there are questions over the tallying and verification of the polling station V11 results as opposed to what ZEC finally announced. In spite of all these accusations against ZEC, ZANU PF and its regime, have spared no effort in painting the commission as independent and highly regarded – as they sought to portray the opposition as nothing more than cry-babies, who were just scared of being defeated at the polls. The ruling junta has sought to embolden ZEC to resist any efforts by the opposition and various civil society organisations by transforming into a truly independent, fair and just commission that can be trusted by all. Any attempts to do so have been dismissed outright by ZANU PF. However, what many people might have forgotten is that ZANU PF itself accused ZEC of rigging elections when then president Robert Gabriel Mugabe lost the 2008 presidential election to the MDC’s Morgan Richard Tsvangirai. When it become apparent that Mugabe had lost to Tsvangirai – results of which had not been released for weeks and weeks – the ZANU PF regime began a denigration campaigning against ZEC, accusing it of more or less the same things the MDC Alliance is saying today. If my memory serves me right, several ZEC officials in Manicaland province were even arrested for manipulation of votes. Thus, unless ZANU PF has selective amnesia, the party is being purely mischievous and disingenuous by claiming that ZEC has always been beyond reproach and of the highest integrity. Why are they not remembering the accusations they themselves made against ZEC only 10 years ago? Unless, if they have something else that they would want to confess to the people of Zimbabwe – either that they falsely accused ZEC of rigging due to Mugabe’s defeat, or that they secretly know that the commission is untrustworthy and can easily be manipulated. Otherwise, how can anyone characterise these confused and contradictory positions taken by ZANU PF? If ever there is an organisation that makes accusations against, and then just as suddenly turns around and defends, ZEC – merely based on political expediency – then ZANU PF takes the crown! As such, the ruling party’s current assertions that ZEC is credible are solely premised on their knowledge that the results that would be announced were to be favorable to them. Their defence of ZEC was not based on any evidence or verifiable information. If ZEC had announced that Mnangagwa had lost to the MDC Alliance’s Nelson Chamisa, we would have had a repeat of 2008 – with ZANU PF suddenly changing its tune, and criticizing the commission of rigging! Instead of just venting their anger on innocent people – as is currently occurring – the ZANU PF regime would have been busy arresting ZEC officials. As the country awaits the determination of the Constitutional Court on the MDC Alliance’s challenge, we have huge expectations to hear whether ZEC is truly credible or is merely a puppet of the ruling party – since, presently it is accused of consisting of state security agents. For now, ZANU PF’s defence of ZEC’s purported integrity can never be taken seriously, as the party has also previously accused the commission of rigging elections – as the party’s position changes solely based on political expediency. ° Tendai Ruben Mbofana is a social justice activist, writer, author, and speaker. He is the Programmes Director with the Zimbabwe Network for Social Justice (ZimJustice). Please feel free to email: zimjustice@gmail.com. Please also ‘Like’ the ‘ZimJustice’page on Facebook. What Happens If We Don’t Invest In People?